Just used Customer Service a second time. Received an answer promptly. I highly recommend this App. 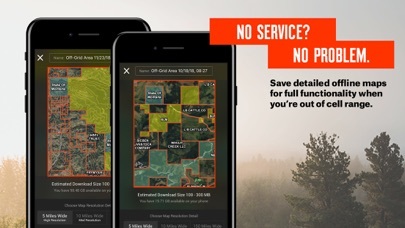 I’ve used this on my phone for a 2017 NM elk in hunt and was blown away how well it worked in offline mode. I’m planning a hunt this year and had some confusion on what states I had purchased (my fault) and called to ask a question about it. They had me straightened out in a few seconds and then offered me a great discount on the elite membership even though I was the problem, not them. OnX went above and beyond and won my loyalty for sure. It’s great to know the a company like this exist in our impersonal digital world we live in. Way to go! 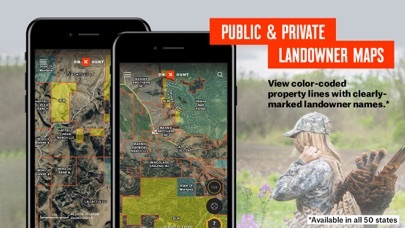 I use the OnX app on my phone to plan and navigate around private land. It has always been very easy to use and extremely helpful in planning hunts away from my immediate home area. Saving the map for going off the grid works really well. Customer service has been excellent. Highly recommend this app if you need to use it like I have to. Awesome app. Love everything that it does. It limits the use of other electronics you have to take a field with you now. You always have your smartphone by your side so now you can have everything you need to track your movement on your phone. I love the app and would highly recommend it. 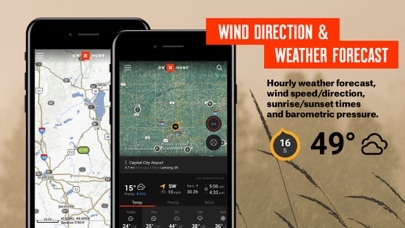 This app is useless in the western KY area. Tried the trial offer and found it to be worthless as the information about owners is very outdated. OnX is a great tool! This app has guided me through different properties where I knew nothing about it going in. The detail and accuracy kept me within my boundaries, and also lead me to find some unbelievable hunting locations. 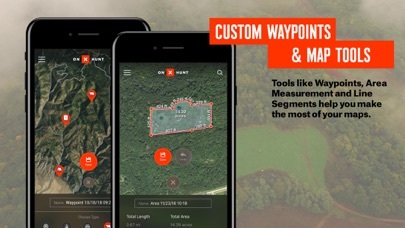 I will be using this app exclusively as I have my first DIY out of state hunt on the horizon. I bought my land nearly three years still showing the previous owner on it. I will not continue subscribe it for this reason. I even emailed them with my tax information, and they are still not updating for me, GFY! OnX is fantastic. I had a few ideas to help improve the app. They welcomed the feedback and stated that those suggestions were already in development....I was hoping for a royalty...free hat or something. Anyway. Fantastic app. Loads great offline. Information is as current as it can be. Truly a thoughtful company with a great vision for improving the outdoor experience. The app worked very well, then I updated the app & now property boundaries & land ownership no longer shows up on the map. Should have left well enough alone.